So I don't normally go in for reviewing beauty products and stuff on here but I was given the 60 Second Fix For Hands for Christmas from Robert's parents and it's so lovely I thought I had to share. I also thought throwing in a few product reviews here and there on the blog might be fun to do, although I doubt it will happen that often as i'm terrible at buying new products! It's only been the last couple of years that I've really gotten into using hand cream... you know, once I realised that if I didn't start taking care of them I'd get old lady hands way too early...although I'm not quite sure how you tell as whenever I look at my hands they start looking weird, so i'm clearly looking at my hands far too much, and i've also gone on some weird tangent. ANNNYWAY, I've been trying to use hand cream whenever my skin starts feeling a bit tight or dry, but it can be a bit tricky finding a decent cream that doesn't leave a greasy film on your hands, because that is the worst and it leaves greasy fingerprints on your keyboard, eurgh, booo! 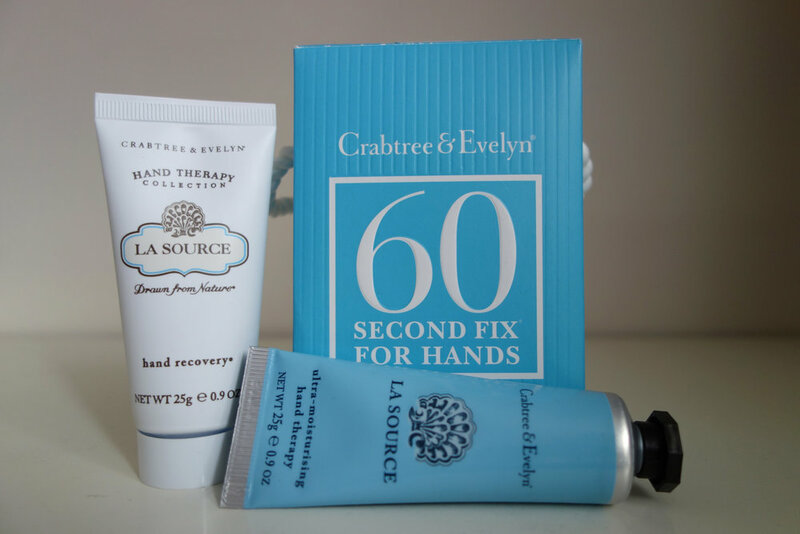 Crabtree & Evelyn's 60 Second Fix is a combination of two products: Hand Recovery and Ultra-Moisturising Hand Therapy which you use in two steps and it also comes with a little leaflet guide which tells you how to use them- you know in case you're new to the whole hand cream scene. The first stage is using the hand recovery which is basically an exfoliating cream which you wash off after rubbing it in and it makes your hands super soft and silky. Like, seriously, I couldn't stop rubbing my hands together, a la Mr Burns, because they felt so amazing after using the hand therapy. Once you've used the hand therapy scrub you can then use the ultra-moisturising hand therapy which is a really light hand cream which doesn't leave your hands feeling all greasy and gross afterwards.